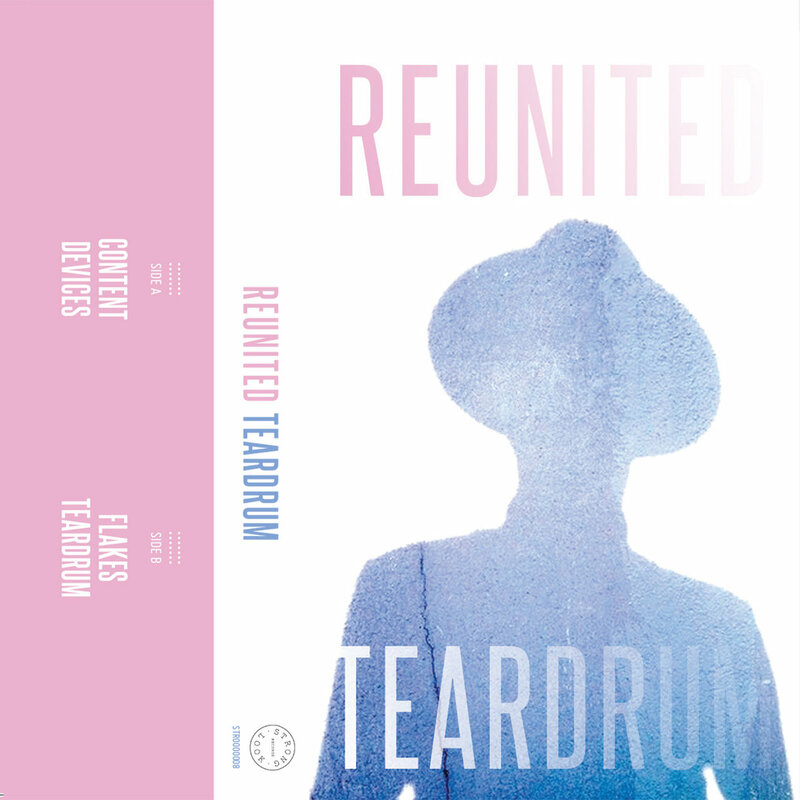 Strong Look Records / release / STR0000008 / Reunited "Teardrum EP"
Written and sung by Patrick McCabe. Programmed, played, recorded and mixed by Patrick McCabe and Chris Yates. Mastered by Mikey Young. Cover design by Tess McCabe. Reunited is a musical project by Patrick McCabe of Melbourne Australia. McCabe cut his teeth on the sunburnt streets of Brisbane in various indie/pop/punk/rock bands, most notably Dollar Bar who released albums in 1999, 2003, 2013 and 2015 (for the children). The "Teardrum" EP began as an experiment in songwriting, fleshed out later on by fellow Dollar Barman (and Weak Boy), Chris Yates, on a trek to Sydney where the pair attached simple chord structures and basic melody lines to McCabe's pre-written lyrics. The lyrics are the centrepiece here. Inspired by the full spectrum of personal politics and beliefs — dealing with trying to consume all the "Content" in the world; our relationships with our "Devices" and how they effect our interpersonal relationships; giving yourself a hard time for having harsh thoughts about the "Flakes" in your world; and, in "Teardrum", the ebb and flow of marriage. "Teardrum" is a modern evaluation of life, technology and the slither of stuff that exists in-between, backed by bedroom mid-fi pop music that McCabe calls 'elechronic'. And yes, the "Teardrum" EP is best consumed stoned.